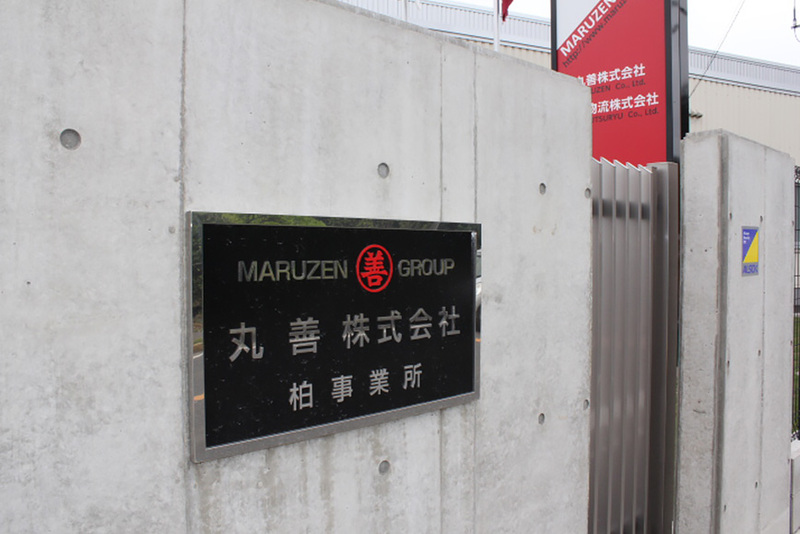 The Kashiwa Complex is an inland comprehensive logistics center that was launched in Shiroi City, Chiba Prefecture, by the Maruzen Group in January 2016. Home to the Kashiwa Complex, the Shiroi Industrial Park is situated roughly at the midpoint of the four prefectures that form the northern section of the Kanto region and offers excellent accessibility to various arterial highways, including the Joban Expressway and Higashi-Kanto Expressway. The Kashiwa Complex is convenient for use as a logistical site serving the northern section of the Kanto region. Our warehouses at the Kashiwa Complex consist of warehouses for hazardous materials and a warehouse for designated combustibles and general goods. There are two warehouses for hazardous materials with a building area totaling approximately 1,000 square meters. These warehouses can store the equivalent of 11,000 drums of hazardous materials. 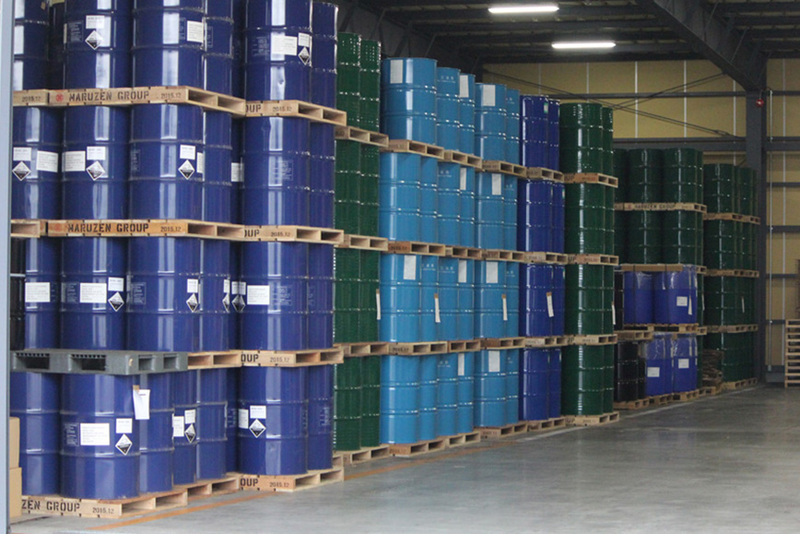 The warehouse for designated combustibles and general goods, with a building area of approximately 1,200 square meters, can store the equivalent of 7,700 drums of products. Large trucks owned by the Maruzen Group are used to operate a regular truck service between the Kashiwa Complex and the Ichikawa Complex. This allows us to provide our clients with a broader range of services, inclusive of the option to select (change) sites and the rationalization of distribution routes.